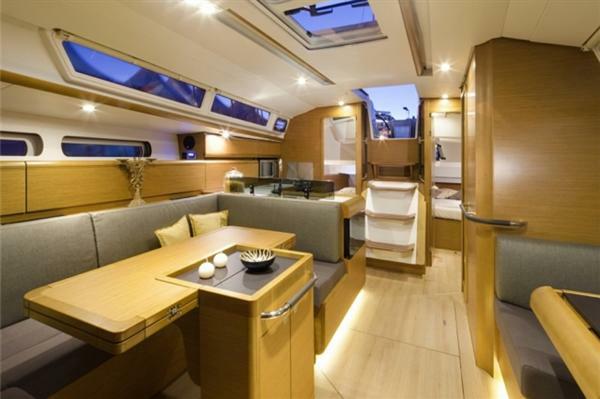 This stunning Jeanneau Sun Odyssey 409 was delivered in 2012. The version we have ordered is the top spec. version with electric bowthrusters, electric auxiliary winch (just press a button to hoist the main!) and a 106% genoa. The saloon table converts to a bed at the touch of a button!! No wonder this yacht was the outright winner of ‘Yacht of the year’ in 2011. View the full brochure by clicking here. During the development of the all new Sun Odyssey 409 the goal was clear; take every element that embodies the Sun Odyssey range and make it better. 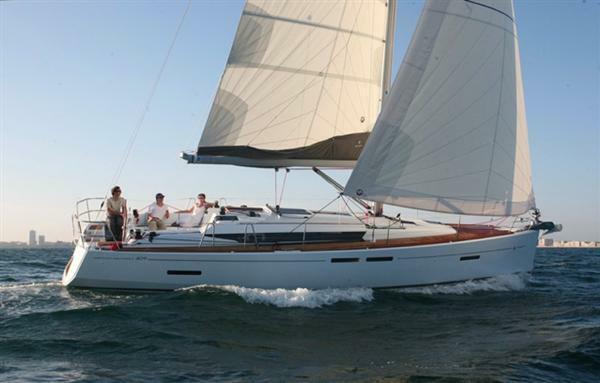 The result is a yacht that is undeniable a Jeanneau. The new Sun Odyssey 409 has already won the European Yacht of the Year. This nomination comes from the major European magazines from 11 different countries. 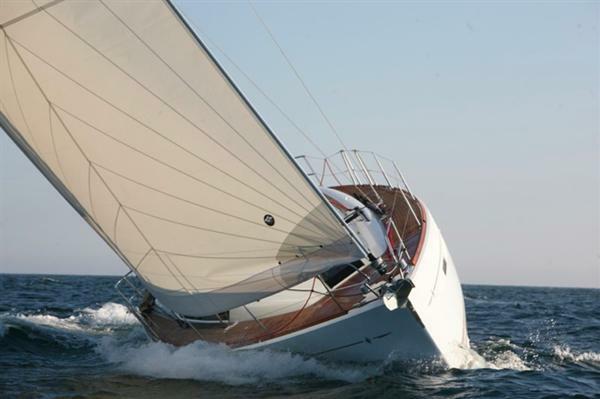 The key innovations include the complete rethinking of the deck and sail plan to make this boat, not only fast,but incredibly easy to handle. 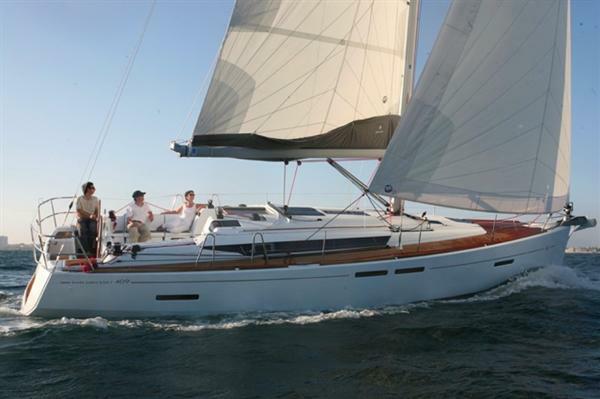 A high-aspect rig and several choices of sail plan make this boat adaptable to every type of navigation from club racing to family cruising. 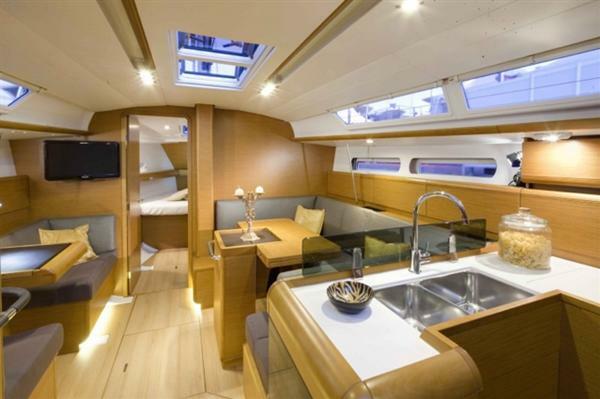 The modern hull designed by Philippe Briand takes advantage of latest advances in hull design. The hard chine on the aft section of the hull increases stability and performance while creating extra volume in the aft cabins. Down below, the attention to detail can be felt throughout. A contemporary interior design has been realised using the finest materials available. In addition, more choices of high-end fabrics and different flooring make the space infinitely customisable to each owner’s tastes.